Photo of Lynda Chean by Julian Oh for the feature “Tattoo Artists of Malaysia”. As 2014 draws to a close, we take a look back at our year and revisit some of our favourite feature stories from the past year. 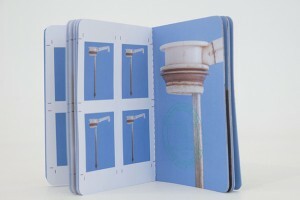 Poskod.MY has always tried to take a closer look at Malaysian life, from city sub-cultures to hidden histories. In the list below, you’ll find a selection of our best journalism from this year – as well as a few extras. Thank you to all our readers for supporting Poskod.MY. As an independent online magazine, your feedback and loyalty means a lot to us. See you in 2015! Poskod.MY’s responses to the aviation tragedy of MH370: an editorial note on closure by Ling Low, an article on debunking myths by Amirul Ruslan and “Silent Seas”, an artwork by Sharon Chin. In Kampung Baru, the mysterious Kak Guna runs an obscure gerai, serving up bakso soup that people swear by. (March 2014). The Royal Press has preserved a 100 year old letterpress legacy. Ee Soon Wei tells us how he plans to steer the family business into the future. 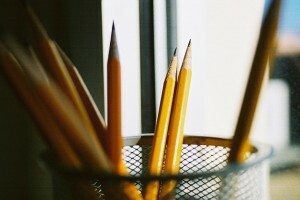 (March 2014). Poskod.MY set up a fake website on 1 April, Buzz Giler Beb, featuring highly factual articles like “Top 10 Insanely Healthy Foods in Malaysia” and “21 Reasons to Love Lists”. (April 2014). A visit to Sungai Buloh, once one of the world’s largest leper colonies. (April 2014). Photo by Ling Low for the feature “A&W: The Future in Curly Fries”. 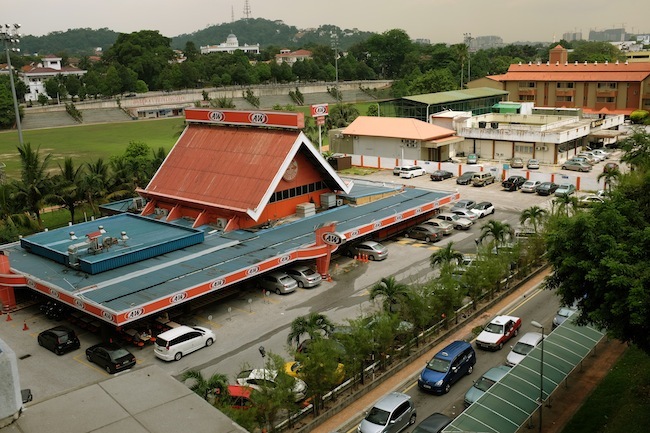 Malaysia’s oldest fast food chain has suffered huge losses in recent years – but it may finally be making a come back. Can A&W survive on nostalgia and curly fries? (April 2014). The faces of the people who build our roads, clean our homes and cook our food. To mark Labour Day, we featured selfies and stories of migrant workers in Malaysia. (May 2014). We interviewed three generations of inter-racial couples to see how attitudes to mixed relationships have changed over the years – if at all. (May 2014). Photo by Alia Ali for the feature “A Burmese Food Tour”. Migrant workers from Myanmar are often seen working in KL kitchens. But where do they go for a taste of home? 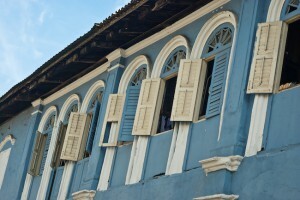 We take a trail through Pudu to find out. (May 2014). 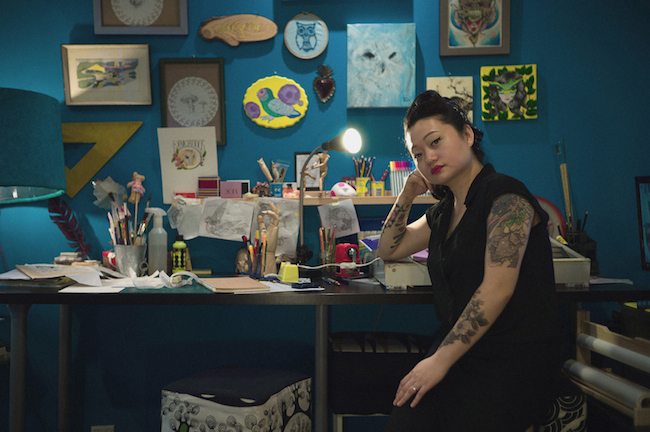 Tattoo artist and photographer Julian Oh captures local tattoo artists in their studios. (June 2014). A poem written in response to MH17 being shot down in Ukraine, illustrated by Lyn Ong. (July 2014). Photo by kG Krishnan, featured in “Home”. The rate of our solid waste is rising at alarming levels – with food waste increasing around festival periods. (July 2014). 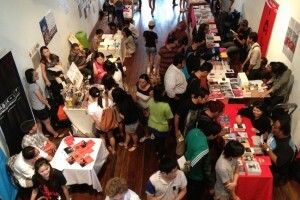 An interview with Amir Muhammad on the success of Fixi, a publishing company that is redefining the market for Malaysian books. (August 2014). 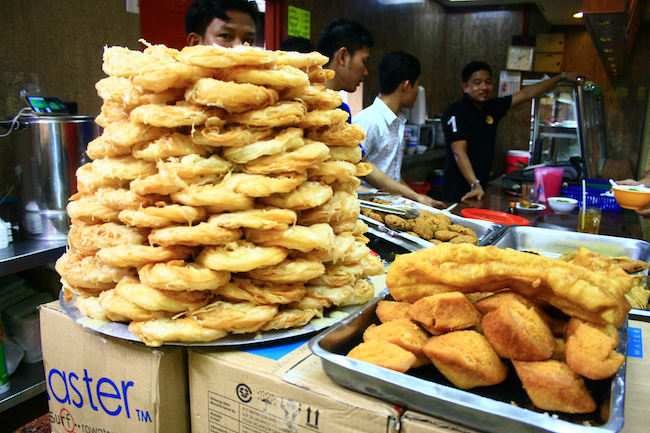 Our video series, in collaboration with the BIG Group, telling Malaysian food stories. (August 2014). Poskod.MY celebrated Malaysia Day with a feature that highlighted 12 women who were movers and shakers of the 1950’s, 1960’s and 1970’s. (September 2014). 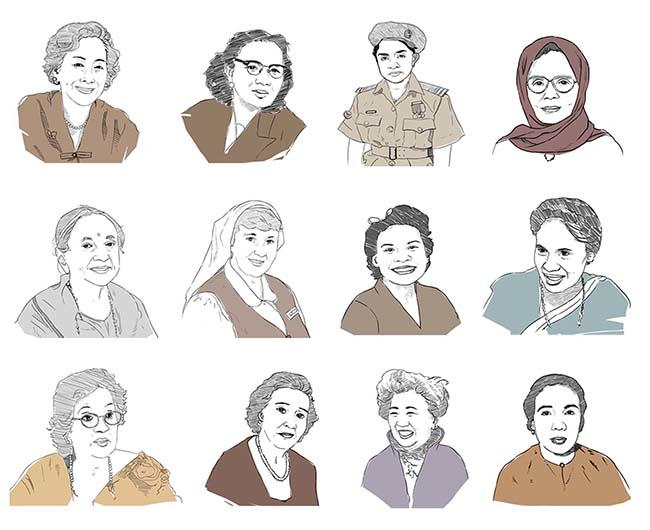 Illustrations by Lyn Ong for “The Women Who Made Malaysia”. Does the word “moderate” mean anything to Malaysians anymore? We take a look at the Prime Minister’s Global Movement of Moderates, as well as recent calls for moderation from the mainstream press. (September 2014). A look inside KL’s oldest cinema, which has become – like many other heritage cinemas – dedicated to Tamil movie-goers. (October 2014). As Subang Jaya goes for city status, SJ natives, including Hannah Yeoh and Joe Flizzow, tell us how the suburban town has changed. (October 2014). 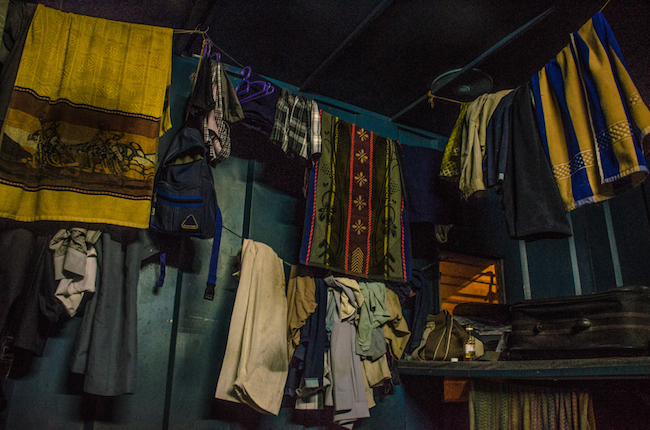 Photographer kG Krishnan shares his photos of the homes of construction workers in the Klang Valley. Interview by Kathryn Rao. (November 2014). Our series of personal interviews continued with Fatimah Abu Bakar, Joanne Kam, Saifuddin Abdullah and Redza Minhat. Do you like us? Make it official! Like us on Facebook here and if you’re really into us, follow us on Twitter @poskodmy.